Set within the top-lit, spacious halls of the Business Design Centre in Islington, Surface Design Show is more of a curated, boutique kind of exhibition, a content-rich immersion in the world of materials. Now into its 10th year, 2019’s outing sees well over 150 exhibitors from all over Europe showing off their latest materials and ideas. But the key thing with SDS is the way the programme — from talks to themed corners — enriches the experience. This is probably why the show continues to attract a high calibre of visitor: in 2018 there were over 5,000 visitors; 72% came from within the architecture and design sector, and 37% of them visit no other trade event. There are always special themes. For 2019, the dominant strand is: One of a Kind, exploring not just uniquely innovative products but also those that address issues of wellbeing, both individual and planetary. With a pick of 20 exhibitors curated by colour and trend consultant Sally Angharad, along with the trend forecast agency, Colour Hive, this themed cluster will feature recent graduate (from Kingston School of Art) Poppy Pippin, demonstrating her press-moulded terracotta tiles, called Moss Tiles, intended for exterior use. 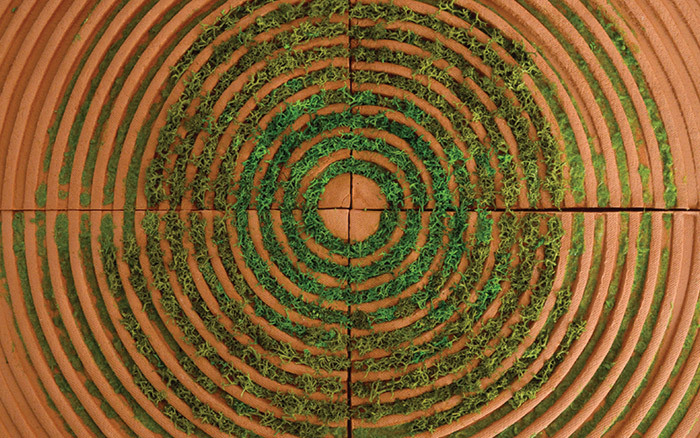 The point of these grooved terracotta tiles is that they actively encourage moss to grow in the concentric ridges, to improve air quality by absorbing carbon dioxide. Anemotech is an Italian company dedicated to making a mainstream splash with technologies that improve wellbeing and health. For SDS, they will showcase a product called Breath: a fabric that is able to attract the harmful and polluting molecules in the air. It also has anti-odour properties and has strong potential use for both office and in the public realm. Happy Concrete, from Studio Iwan Pol is another potential public realm game changer in the One of a Kind corner: Pol calls it a ‘concrete carpet for the outdoors’. 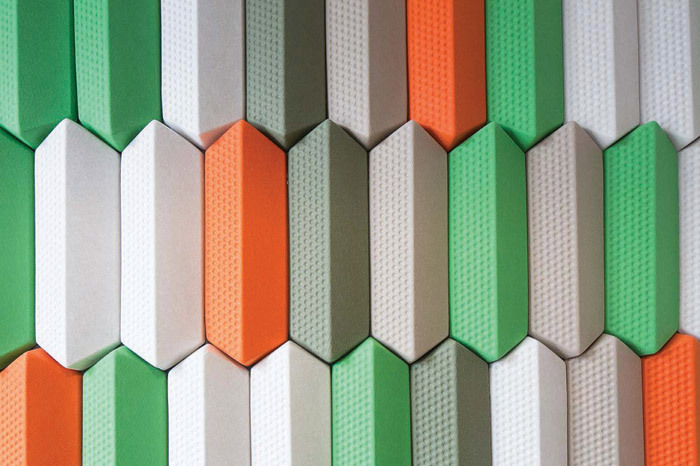 A kaleidoscope of concrete colourings and finishes can be assembled from a variety of playful, play-dohlike components. ‘There is noticeably more of this kind of stuff on the market this year,’ says Angharad. ‘What’s lovely is these designers want to share a story; it’s not just about the aesthetics. People are developing products that have more of a meaning and a purpose.’ The same is true of acoustic panel experts Friends of Wilson. Beautifully textured, modular acoustic panels, hanging screens and room dividers are their solution to noisy, open-plan offices. Made Of Air is a Berlin-based innovative initiative which will also be present in the One of a Kind corner. The founders have invented a material compound called prosolve370e, which has been turned into facade modules which eat pollution. The thermoformed shells are coated in photocatalytic titanium dioxide and can be arranged in a wide variety of patterns to enhance building facades and improve the air we breathe. There is no shortage of novelty and innovation elsewhere in the exhibition halls. 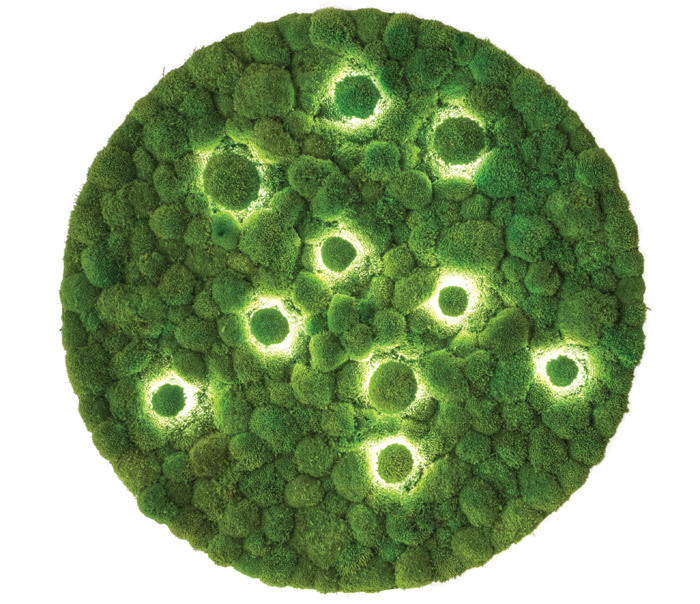 Freund is bringing its spectacular range of biophilic fixtures to the show: its moss lights incorporate mossy textures into a pendant light in a way that immediately casts a soothing glow over a room. Its mosswall also makes a massive difference to a room’s sound absorbing qualities. Keeping within the nature and wellbeing realm, Innerspace has launched a range of bark panels made from real bark. 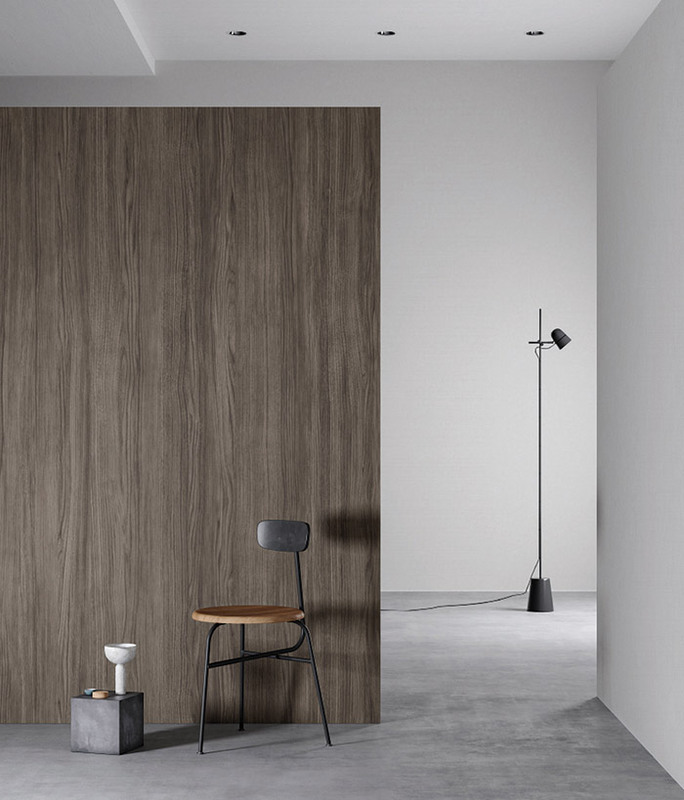 And if real bark is beyond your budgets or your client’s comfort zones, check out the latest nature inspired designs which have been added to 3M’s DI-NOC Architectural Finishes, suitable for walls and ceilings, furnishings and fixtures. And of course there is always room for the simply beautiful. 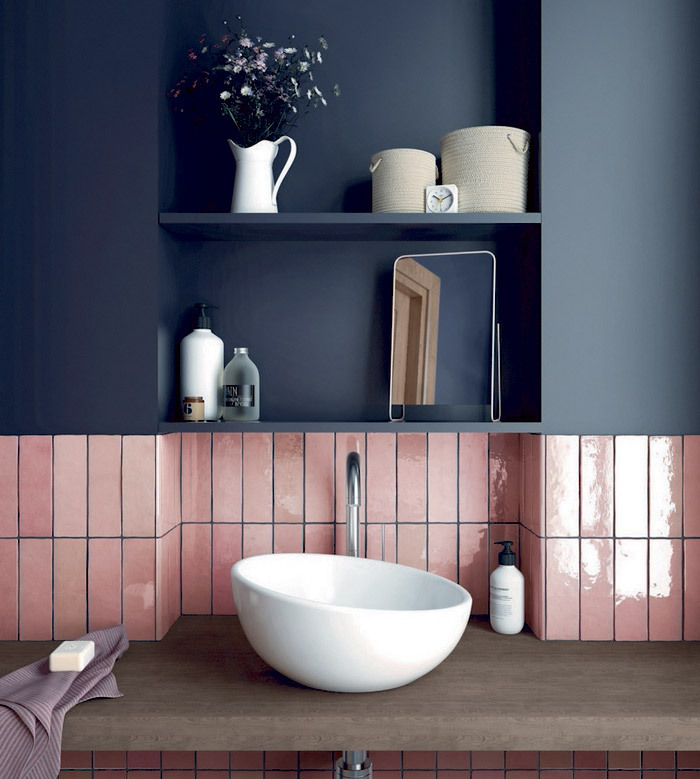 Aesthetic inspiration is guaranteed, with highlights such as Artisano’s latest range of pale, handmade ceramic tiles, in both square and rectangular formats. Talks and seminars provide an opportunity to dig deeper during SDS. This year it kicks off on the evening of Tuesday 5 February with an opening night debate titled Factory-made housing: is this the solution to building better homes long term? Run in association with the NLA and RIBA, it promises some scintillating conversation. Over the course of the show there will be 36 talks on three different stages. Many will reflect the 2019 theme of public realm and workspace. For example, on Wednesday 6, Studio TILT’s Oliver Marlow will be discussing whether virtual offices (co-workers sharing technological connection rather than office space) will replace the design studio in future. While on the Thursday, ceramic artist Loraine Rutt will discuss how her collaborations with Metropolitan Workshop have enhanced a sense of geographic and social space, as colourful cladding on Pocket Living modular tower block in Wandsworth. New opportunities in design are also flagged up. Gilly Craft will explore how the ageing but often wealthy population of the UK is driving demand for a far more aspirational look to the homes of the third age, whether assisted apartments or care homes. One of the most hotly anticipated areas this year will be a showcase for New Talents — 16 emerging practices and designers. Jennifer Castoldi from TrendEase selects the ones most likely to succeed. Light School will be in its sixth iteration for 2019. Supported by the Institution of Lighting Professionals, Light School takes a more bespoke, artistic look at maximising impact both inside and out with the latest and most sophisticated lighting interventions. The most popular event of the show, however, is usually the PechaKucha night, which this year falls on Wednesday 6 February. It will be headed up by Chris Dyson, along the theme of: Identities and Boundaries — site-specific responses to modern architecture. A number of invited participants will have a chance to pitch their thoughts for a five-minute burst of concentrated insight. This year’s participants include: Lucia Berasaluce of Haptic Architects, Alison Brooks (Alison Brooks Architects), Ben Cousins (Cousins & Cousins Architects), Stuart Piercy (Piercy&Company), Nigel Ostime (Hawkins\Brown Architects), Soraya Khan (Theis and Khan Architects), Simon Fraser (Hopkins Architects) and Alex Whitby of ScottWhitbyStudio.